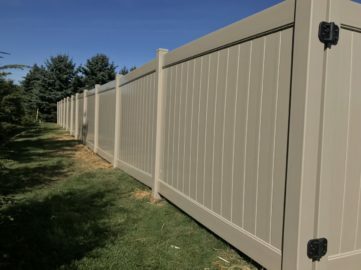 Last week, our team finished up this 240′ fence job. 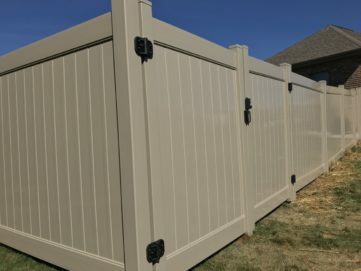 The fence is 6′ tall, perfect for privacy and is clay in color to match accents of their home. 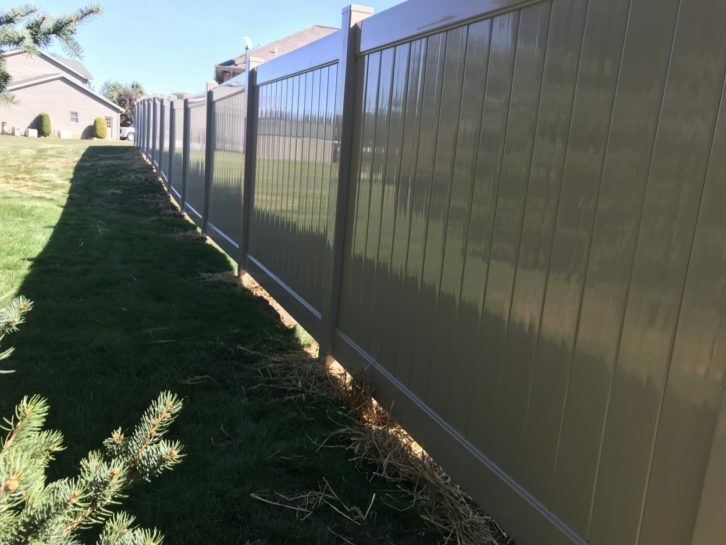 There are two gates, one 4′ wide near the house and a double 5′ gate in the back corner for ease-of-access for lawn mowers and vehicles.